With the profusion of killer oysters, fat lobster rolls, and all-you-can-eat crab, you'd be silly to not to dive into these, the 12 best seafood restaurants in the city. NYC is a coastal city -- it's time to act like it! Freshest catch: Greenpoint Fish & Lobster Co.
You know the fish is fresh when you can spy it all glistening in the cases up front. 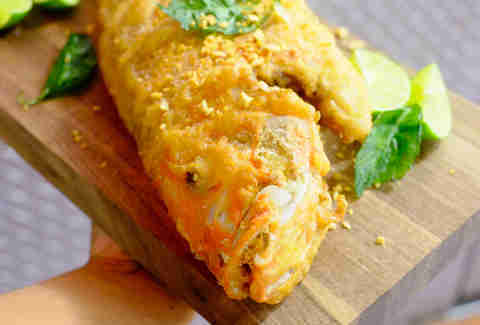 Fifth-generation fishmonger (fifth-monger? Nope.) Vincent Milburn and co-owner Adam Geringer-Dunn oversee this white-tiled restaurant/market, and expertly turn local catches into craveable comfort food -- think fried oyster breakfast tacos and Thai-style mussels. NYC has no shortage of sushi masters, but none are able to balance the seriousness of the craft with a sense of humor quite like Daisuke Nakazawa. But it isn’t just the Jiro Dreams of Sushi star's antics behind the bar (like wriggling live shrimp in front of diners) that propelled this relative newcomer to the top -- the omakase, featuring buttery fish and his signature tamago, is truly exquisite. The king crustaceans show up in multiple dishes at this South Brooklyn cash-only spot, but what you're really here for is for the all-you-can-eat feast -- freshly boiled crabs seasoned in one of two ways: Maryland style with Old Bay or with garlic, in a nod to the neighborhood’s Italian roots. Fine print: the buffet option is only available on Monday and Tuesday. Do happy hour right by 1) actually leaving work early enough for happy hour, and 2) consuming $1 oysters and $6 Bloody Marys at this bar on weekdays from 4-6pm. 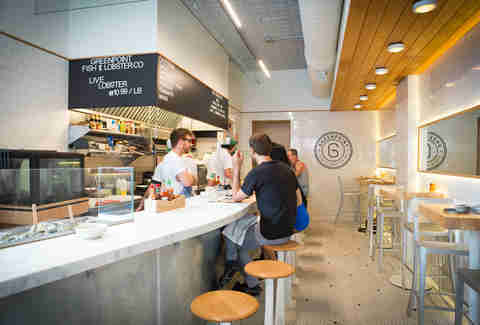 And although this white-tile-lined Chelsea Market hideaway is excellent, don't feel beholden to it -- there are 64 other damn-fine oyster happy hours in this city to choose from. 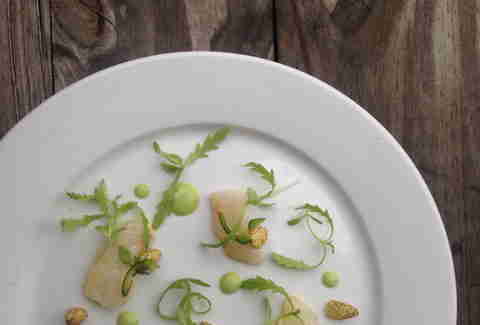 The rotating crudos are minimal, as fish whisperer Dave Pasternack lets everything speak for itself. 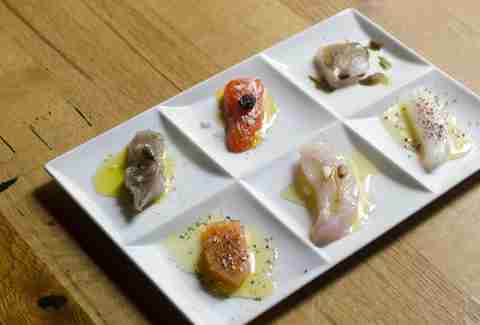 The $25 tasting, which includes samples of six fish, is one of the best seafood deals around. 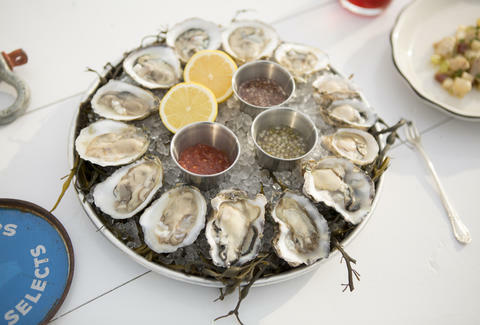 Throw back cocktails and oysters on the deck of the Sherman Zwicker, a historic fishing vessel docked off Tribeca’s Pier 25. 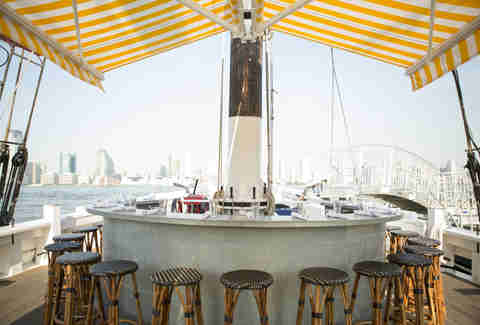 Unless you have super-rich friends with sailboats or you commute from Staten Island, this seasonal floating bar is the closest you'll get to boating all sweltering summer long. Pasta man Michael White's Marea (that’s Italian for “tide!”) masterfully combines regional Italian cuisine with seriously fresh fish. 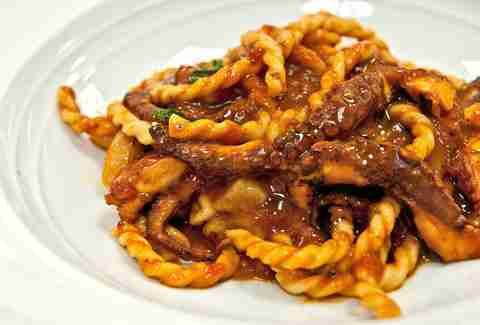 Try the prized pasta with the wine-braised octopus fusilli or tagliolini with Manila clams, and revel in the fact that it's one of the most affordable ways to eat at a Michelin-starred restaurant. 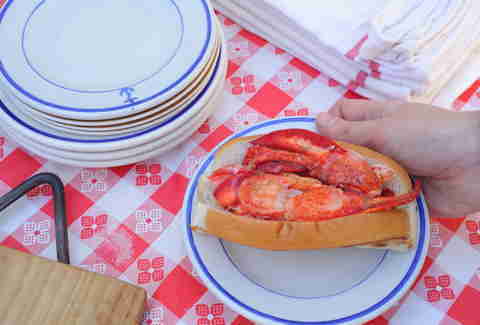 The freshest in town, this lobster roll bursts with top-secret, spice-enhanced claw and knuckle meat in every bite. Maine native Luke Hold and partner Ben Conniff's nautically themed shack is expanding at an alarming rate for good reason. 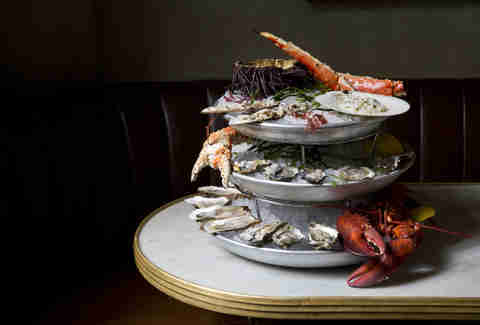 If there’s anything more impressive than the cocktails at this NOLA-inspired drinkery, it’s "La Grande" Plateau, an impressive, three-tiered seafood tower that teeters with scallops, caviar-topped lobster, multiple types of clams and, as a finishing garnish, sea urchin served in its spiky shell. It's $150, so make sure the person you're dining with is worth it. Forget roast chicken for two or a massive prime rib -- the star of April Bloomfield’s large-format Ace Hotel seafood spot is a whole tempura-fried red snapper. Sides like a papaya salad, green curry eggplant, and coconut rice complete the belly-busting spread. 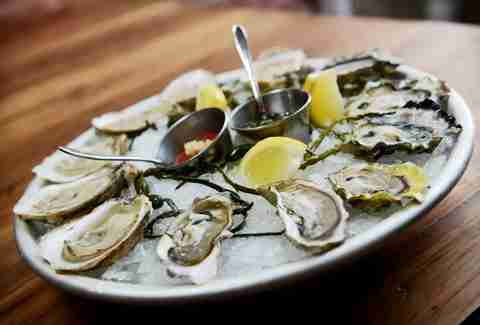 The oyster game at this institution is so superb that they created an app -- the appropriately named Oysterpedia -- that helps you order bivalves like a pro. With most items ringing up at under $20 (including the lobster roll), diners certainly get the most bang for their buck at Aaron Lefkove and Andy Curtin’s Brooklyn joint. Be true to the name and get the clams -- steamed, in chowder or, best yet, battered and deep fried for the whole belly Ipswich roll.